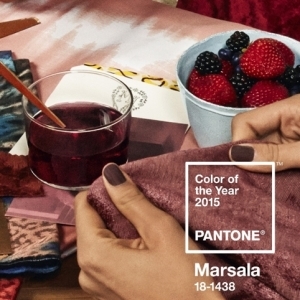 Pantone 2015: Marsala – Pantone has named its colour of the year for 2015 as 18-1438 Marsala, which it calls “a naturally robust and earthy red. “Pantone has named its colour of the year for 2015 as 18-1438 Marsala, which it calls “a naturally robust and earthy red”. For interior design Masala will prove “complex and full bodied without overpowering” and has the ability to unify interior spaces by adding elegance through paint and accessories. Pantone says when the colour is enhanced when applied to textured surfaces making it a good choice for rugs and upholstered furniture”. 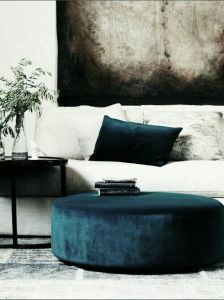 Indigo in its versatility works in a contemporary or classical scheme, Just a touch here for scatters & accessories or preferably as your statement- an Indigo painted wall or a crushed velvet sofa sounds just so sumptuous! 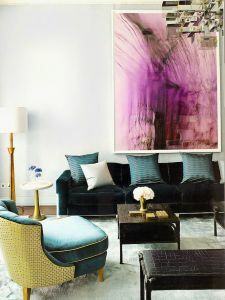 Matte pastels & smoky shade of grey will be seen contrasted with deep jewel tones such as yellow, pink, purple, & rich hues of red, amethyst teal, malachite & forest. 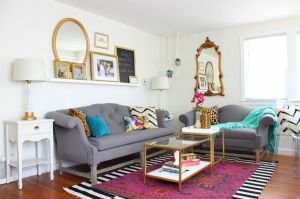 Look out for quirky black & white contrast!